This is the latest in a series of books I have received for review through the SpeakEasy Blogger Network. My last review book was thick and heavy enough that I wasn’t sure I would review any more for awhile. But when I read about this one, I set that aside. I was excited to read a novel about the interaction between religion, irreligion, and life. I don’t think I recognized at the time that Bob Seidensticker, the author, was an atheist. Such knowledge would not have affected my decision. I have appreciated reading some of Sam Harris’s writings, and would rather engage a thoughtful atheist than a unthoughtful Christian in conversation. 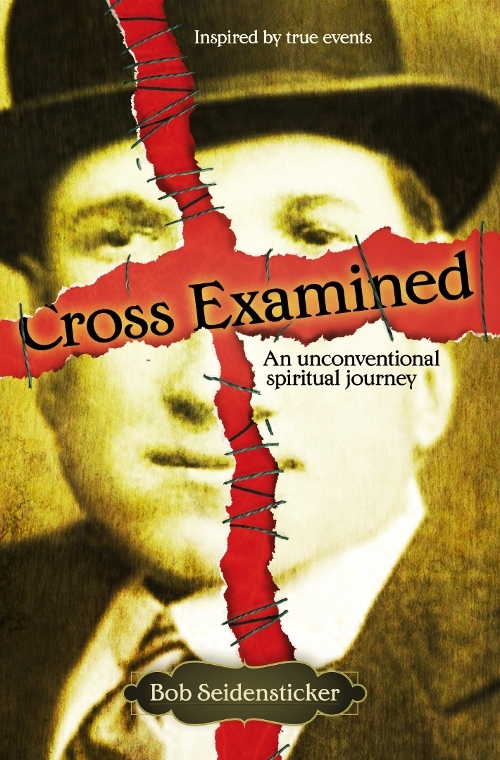 I found Cross Examined an excellent read. The main characters are well developed and complicated people. This is no simplistic Christians are bad, thoughtless, mean people while freethinkers or atheists attempt to save the world from them. In fact; this could be Seidensticker’s thesis; the realization that life is more complex than a tract or apologist’s rhetoric is the beginning of real conversation and the quest for meaning in life. The subtitle of the book is deeply informative of this book’s mission; to invite the reader to consider his or her own spiritual journey. Having read Cross Examined leaves me hopeful for sharing space, time, and meaningful interaction with all who are willing to enter genuine conversation.